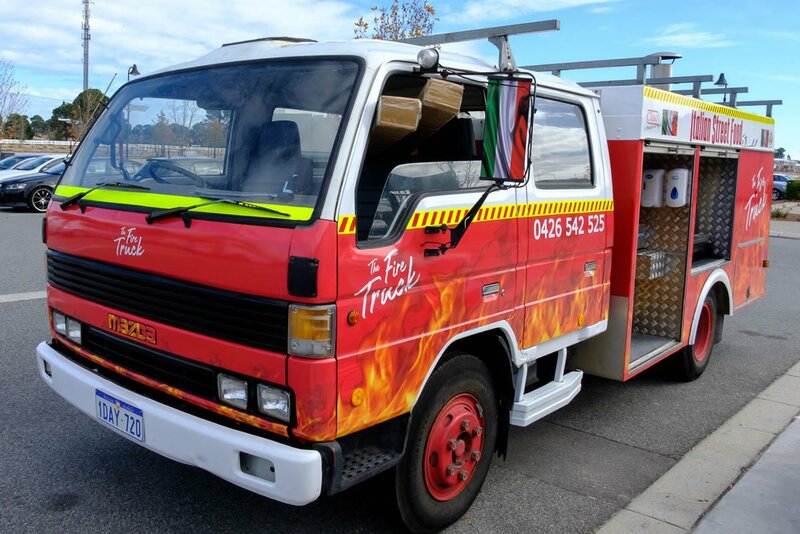 The Fire Truck| Our Mobile Kitchen That Offers Wood Fired Oven Perth. 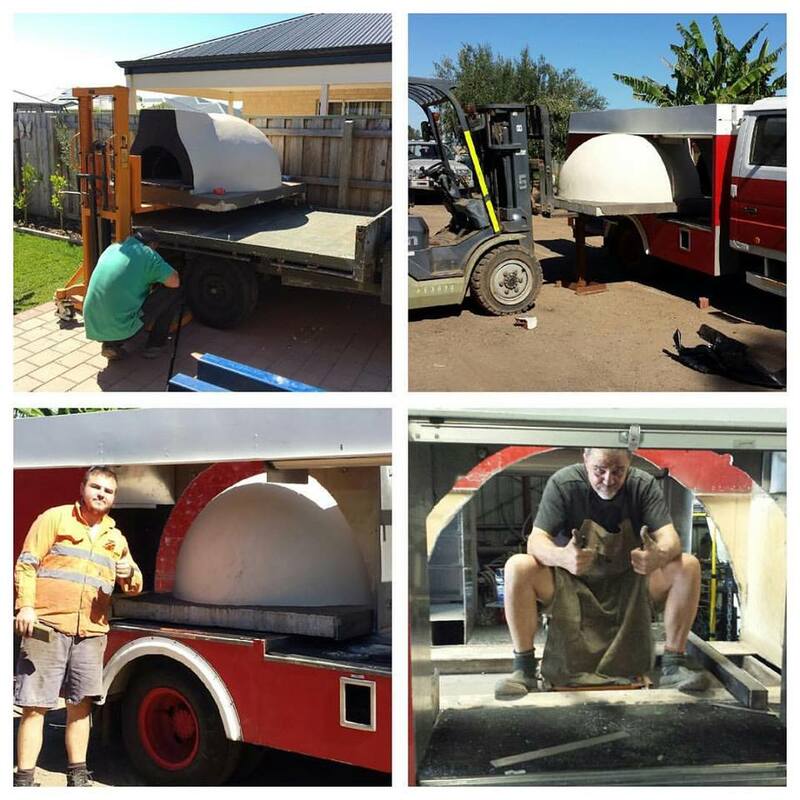 For a unique touch to pizza catering Perth, we present our pizza truck! This vehicle was converted from an actual fire truck that was retired from the service. We had experts in mechanics, cooking, and modification go over it. Months of work was poured into it, installing a wood-fired oven and other amenities. The result was a mobile kitchen that can handle all sorts of food production needs. It has the oven that bakes our famous pizzas to perfection. It has enough stock to feed even a massive corporate event. The truck lets us prepare anything on our menu on-site. The truck boasts a built-in wood-fired oven. It also has fryers and fridges. We even installed a slicer for antipasto. Any dish on our menu that you want, the truck, it supplies, and its team can prepare. You know the food is fresh from the oven because it’s prepared right there, on-site. You’ll get it piping hot, ready to dazzle your taste buds. You don’t have to worry about cold pizza with us on the job. Having a unique, photogenic food truck at your event is just a bonus. 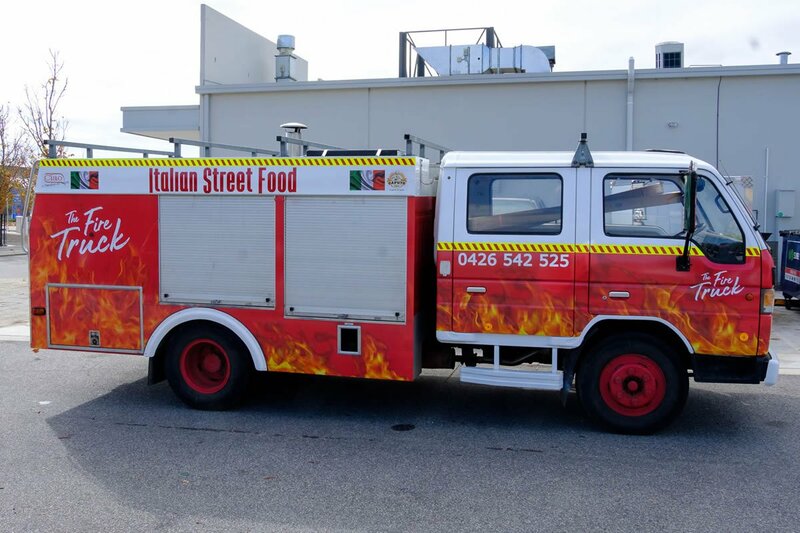 We use this truck in some pizza catering Perth events. The truck lets us prepare the best Italian street food at your location of choice. Whether your event needs pizzas by the score or you’re craving some of our famous bomboloni, the truck is ready to go! The truck is available to cater to private events and festivals. We require a minimum of thirty guests per event. Please contact us to get the details of our service and whether or not we could be catering your next event! The service is available across Western Australia’s metropolitan areas. We are working on expanding our reach to cover more regions. Please contact us if you want to make sure your event is within our coverage area.